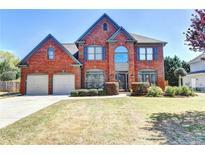 Below you can view all the homes for sale in the River Walk subdivision located in Suwanee Georgia. Listings in River Walk are updated daily from data we receive from the Atlanta multiple listing service. To learn more about any of these homes or to receive custom notifications when a new property is listed for sale in River Walk, give us a call at 404-998-4017. Level, Fenced Backyard & So Much More! Hurry, This Won'T Last Long! MLS#6529314. Keller Williams Realty Atlanta Partners. Convenient To 141, Pib & I85. Hurry, Wont Last Long! MLS#6522904. Keller Williams Realty Atlanta Partners. Blvd & I85. Hurry, This Wont Last Long! 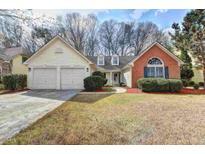 MLS#8549061. Keller Williams Rlty Atl. Part. Full Dining And Living Rooms, 4 Bedrooms And 3 Baths On Second Level, Including Oversized Master Suite. Private Level Backyard. MLS#6511914. Harry Norman Realtors.